Ever wondered how non-Muslims celebrities look in Hijab? 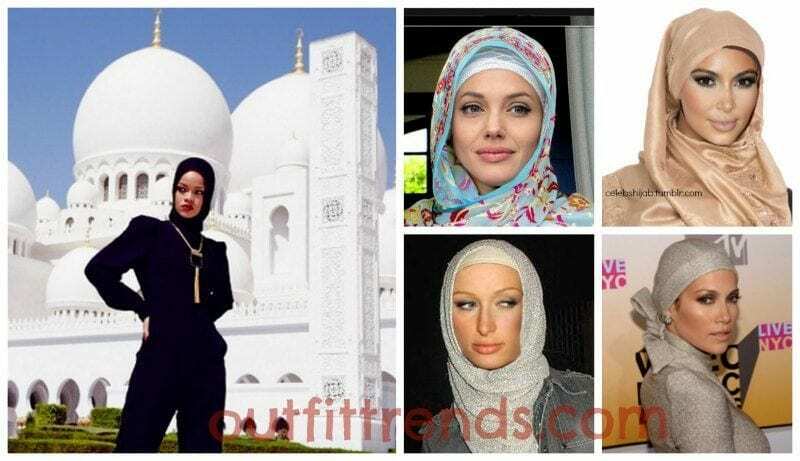 Which all Hollywood celebrities wore hijab Islamic outfit? Check out this collection of some top grossing actresses and politicians who wore hijab. #5 – Rihana in Hijab. After this photo-shot in Sheikh Zayed mosque, Rihanna was reportedly forced to leave the mosque because of violating the sanctity. Angelina Jolie wore it best – no doubt about it! Gigi hadid is muslim so….